It's hard to believe it's our seventh year of publication. And this issue was very long in coming. (Nisi joked, back in January, that we should blame it on the POTUS.) Rather than skip an issue, we opted to remove the month from the designation of issues. We'll still be putting out four issues in 2017, just not according to our original schedule. 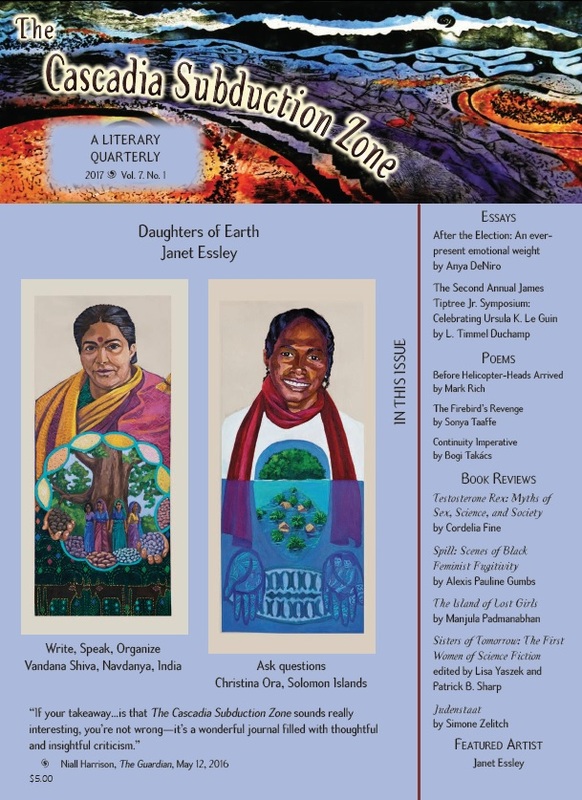 This issue contains essays by Anya DeNiro and L. Timmel Duchamp, poetry by Mark Rich, Sonya Taaffe, and Bogi Takács, art work by Janet Essley, and reviews by Nancy Jane Moore, Maria Velazquez, Joanne Rixon, Steven Shaviro, and Bogi Takács. You can purchase a single issue or subscription, electronic or print, at http://thecsz.com/.